"Homemade baking mix, good for biscuits." 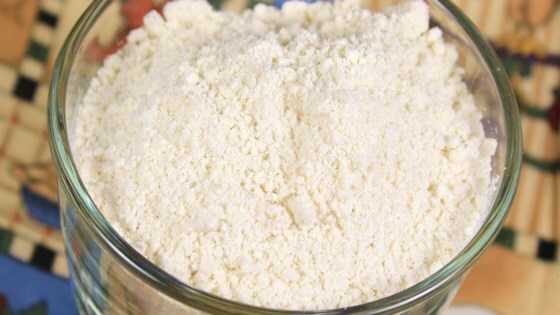 Whisk flour, dry milk powder, baking powder, sugar, and salt in a large bowl until thoroughly combined. Cut shortening into dry ingredients with a pastry cutter, about 1/2 cup at a time, until mixture resembles cornmeal. Store in an air-tight container for up to 3 months. Shouldn't you include instructions on how to t use the mix? This mix rose beautifully, and my son, Mr. Pickypants, certainly enjoyed the delicious result! Thanks so much for sharing this recipe! I live in Australia. We dont have shorting here. Should I use butter or oil for this mix.